How to Deal with Lies in a Relationship? Liars suffer in the very last circle of Dante's hell because there is no sin worse than lying. By betraying the one who believed in you, you break the very last of the rules of empathy and human decency. Because the one whom you betray suffers from despair and loses the foundation of life, including love, hope, and faith in people. There are lots of poems, poetry, music, and quotes about lies in a relationship made throughout the years, that is because it hurts so much when you get lied to. How lying destroys relationships? Well, one lie may be enough to kill it. One doesn’t need to be a specialist in the psychology of relationships to understand that it is much easier to betray someone who initially trusts you and don't expect any lie from your part. To paraphrase the classics, the one who’s close is glad to be deceived themselves. The meaner the lie is, the more difficult it is to forgive it. For those who have been lied to, the questions may arise, "Is it worth forgiving? Is it possible to risk trusting that person again, or is it better not to do so? What to do when someone lies to you in a relationship?" On the one hand, a liar can easily do it again. Therefore, it is safer not to mess with them and break off all kinds of relationships. But on the other hand, everyone should have a chance for forgiveness and redemption because anyone can make a mistake. When it comes to lying in relationships, a lot depends on the situation itself. It is only in childhood we perceive the world in black and white tones. In fact, it is full of halftones and uncertainties. You can commit an unpleasant act in different ways: foolishly, without understanding, without thinking about the consequences, under the influence of the moment, from fear or resentment. Or cynically, thoughtfully, prudently. Perhaps you somehow provoked a person to lie to you. Or maybe they deliberately deceived and used you. It is necessary to take into account the reaction of your partner. It is clear that you cannot look inside the head of someone else, but you should still try to understand whether it hurts them as well. Ask yourself, "Are they confused or lost? Do they blame themselves? Are they trying to fix everything? Or don't they see anything wrong with it and try to repent for their lies?" There is another important point that must be taken into account when making a decision. Can you forgive? That is the question. This is much more complicated than it seems. Not everyone is capable of sincerely forgetting the lies and continuing to see good in a person and trust them. Ask yourself, "Can I forget what happened?" Of course, this episode can only be completely erased from memory only if there is a history of sclerosis or amnesia. It's not about that. Will you be able to avoid it during conversations or simply not think about it throughout the day? Do not scroll through what happened in your own memory, finding there all new reasons for resentment. Do not store disappointment in your soul because you can blow up in one moment. It’s either that you can forget or you can’t, that’s that simple. After all, sometimes the pain is so strong that you just can’t avoid it. If you can’t forget, your partner will never truly be able to get your trust, no matter how hard they try. It is possible to lose trust in five minutes. But to win it back ... Doubt in a partner is a so heavy thing that the most long-term relationships can collapse and crumble under its incredible weight. Fear that a close person can lie to your face without giving a second thought about, without considering it to be something important, is a heavy thing. The one who begins to suspect a loved one of deception gets paranoid. You start thinking in circles, and with each new revelation new details are mixed with the old ones. As a thinking being, you begin to carefully analyze long-past events. A nasty little fly grows to the size of a huge elephant, and the process cannot be reversed. Doubts, hidden at the bottom of the soul, can make themselves felt literally at any time, and start gnawing at you on the most insignificant occasion. As a result, every word that means nothing, an innocent incident, has a hidden meaning. Trivia is given a different, formidable value, reservations grow to the extent of insults, and a silent mobile phone turns into indisputable proof of betrayal. Mistrust kills, while additional torment is caused by the thought that you cannot truly say how sure you are of your partner’s deception. This is a horrifying thing to feel. Only they who have gone through this at least once, understand the price of mental balance and peace of mind. As a result, the situation can be resolved in a hundred different ways: you can get tired of suspicions, they can be confirmed and at best, dissolved. One thing is for sure: just as one cannot be a little pregnant, one cannot be half trusted. Either there is trust, or there is no trust. If it is still not there, does it make sense to continue a relationship? It would probably be the right decision to cut off all contacts with that person. Perhaps, once you, having thought it over properly, will be able to calm down and come back. Time, as they say, heals everything. The main thing is not to allow one act to become the standard with which you will begin to measure relationships with people throughout your life. Do not start a crusade against all mankind if one person once did not live up to your expectations. This is how lying affects relationships, it may kill all the faith in the humanity of a person. Thus, the consensus is that lies and relationships don’t go together, but how can one detect lying and deception in relationships? How to Detect Lies in a Relationship? If a person is trying to avoid eye contact – this is a sign that they are lying to you. By the way, a liar also blinks more often than usual, take note of this! However, if a person is staring you down – get alerted. Remember how you applied this trick: looking at the teacher with honest eyes, you said, “No, I had done my homework, I just forgot it at home." And if a person is trying their best impression of the cat from Shrek – they are simply trying to lie to you. Even neuro-linguists argue that most often when a person makes up and embellishes events, their eyes go either to the left or up. Watch for insincere emotions. It will come out unnatural: too long and forced. The vast majority of people are not able to fake a smile. Fake emotions are an indicator of lies. Look closely at the interlocutor's gestures, and you will understand a lot. For example, a guy, seeing a woman in a new dress, begins to gesticulate and admire her, "Wow, you are so beautiful.” He is grinning and glances at her while trying to cover his face and mouth. This is most likely because she looks horrendous in that dress. Men who lie in relationships may do it for the sake of sparing them nerves and time. You asked your partner why they hadn't called you last night, and while they were scratching their nose or neck and rubbing their earlobe, they began to mumble something about an unscheduled workout, didn't they? Most likely, they invented it on the go: these gestures indicate that a person is lying to you. 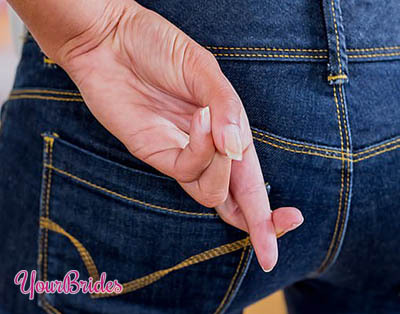 When a person lies, they will try to hide their hands, whether that is their pockets or under a table, they are trying their best not to fail at this situation, and gestures are one of the things that they can fail at. In search of support, they can firmly squeeze some object in their hand, for example, a handbag, a mobile phone or cling to the edge of a table. Pay attention to the position in which the interlocutor is sitting in: they are trying to hide their body, their limbs. If they are standing, pay attention to the position of their torso: a liar will lean back as if they are moving away from you. Advice: Often people lie to us in order to ... protect us, this is called white lies in a relationship. Of course, they could have told you the truth, but they felt sorry for your nerves. The dress has already been bought and worn, why should the girl be upset because it is horrible? Think about it: maybe you are too violently reacting to criticism? And do you provoke deception? Remember that telling white lies in a relationship isn’t the same as lying about serious things. There are small lies in a relationship that can be neglected. A liar may have a trembling voice, they suddenly begin to speak more slowly than usual, and still, after answering your question, they are simultaneously trying to figure out how to lie more believably! And if you drastically change the topic of conversation, and an interlocutor will support you with relief, then it is a sure sign of a liar, they are trying to move away from their lies. If they are sincere, then changing the topic, on the contrary, will hurt them: they have not yet said everything they wanted! Advice: The most unpleasant kind of lie is when you are told a lie to force you to do what an interlocutor wants. This manipulator can swear to you in love, and they want to have some benefit from communicating with you. How to Rebuild Trust in a Relationship After Lies? How to get over lies in a relationship? Just as we’ve said, if you’ve analyzed the entire problem, and you are not wrong (you should spend a lot of time thinking about it), and your partner doesn’t seem to feel any sense of guilt or remorse – put an end to it, don’t waste your time. If there are remorse and guilt – open your heart to that person, stop thinking about what happened and remove all signs of that incident. The worst scenario is when there are guilt and remorse, but you cannot forgive that person. 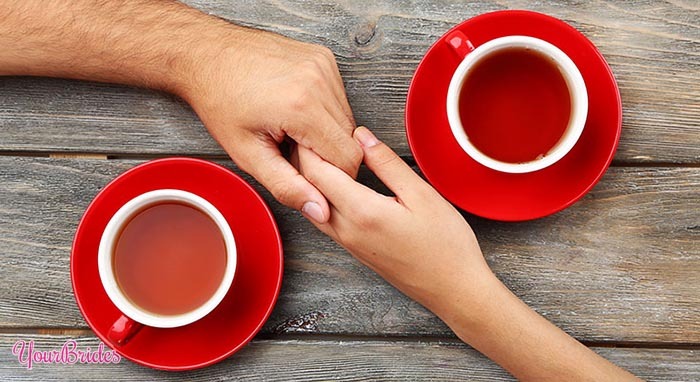 Tell your partner about your feelings, and if they don't do their absolute best to regain your trust – nothing is going to change, break up and move on. The important thing to remember is that one should not lose faith in the world because of a single lie of one individual, that is just stupid. There are all sorts of people out there who will be more honest and more loving in your life, don’t put an end to your faith in humanity just because of one instance of betrayal, the world is a beautiful place, and it’s worth fighting for.